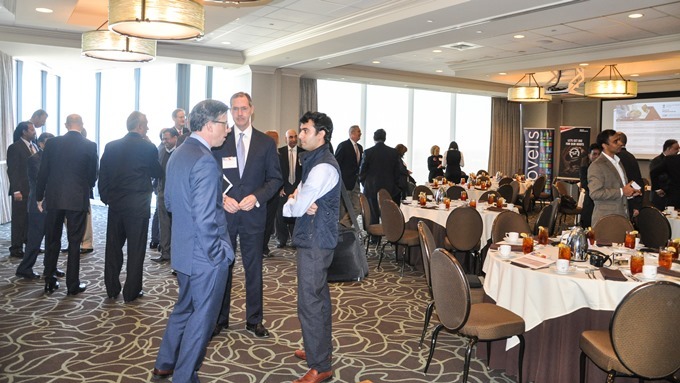 The Consulate General of India–Atlanta (CGI-ATL) in association with Tech Mahindra and the Confederation of Indian Industries (CII) organized an executive-level event titled “India–US Economic Partnership” on March 16, 2017 at the Buckhead Club, Atlanta. Areas of economic opportunities were highlighted and experiences of various industries were shared. Arvind Malhotra (right), Senior VP from Tech Mahindra welcomed guests from various industries, Fortune 500 companies, associations, and institutions. 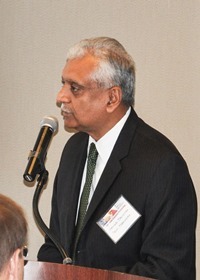 Consul General Nagesh Singh gave facts and figures of bilateral relations and the opportunities for both economies. Prof. Jagdish Sheth (left) from Emory University shared his views on what lies ahead with the new US administration. 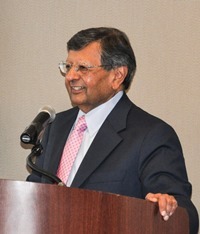 He touched on the recent demonetization and state elections in India and the impact on Indo–US business relations. The highlight of his speech was his views on how the world economy will move ahead and how both countries will benefit. India will become more strategic to the US not only from the point of view of economics but as a geopolitical force to counterbalance China and for meetings between the US and the Middle East. India’s deep diplomatic relationship with Egypt, Turkey, Japan, Myanmar, and Russia will be invaluable for US diplomacy. A panel from Indian companies included Devesh Mathur–Global Technology Director Novelis (Aditya Birla Group); Tom Valasak–CMO Mahindra Genze (Mahindra & Mahindra group); and Unmesh Mishra–Area Vice President - L& T Infotech (L& T Ltd Group). They shared experiences in establishing their ventures in the US. They also highlighted their contribution in creating jobs, helping the US economy, and shared initiatives to support the community in STEM education, training, internship programs, etc. 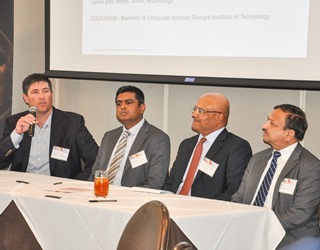 (Left) A panel from US companies with operations in India included Trey Kaisler–CIO Global operations GE Power; Bhaskar Ramani–VP (IT) Industrial supply chain GE Energy Connections; Sunil Ghatnekar–CFO Coca Cola; and Abhay Paranjpe–Director India (Aeronautics ) Lockheed Martin. They described the business establishment in India and their future plans—the challenges and success stories. Nick Masino–Senior Vice President of Economic Development & Partnership Gwinnett at the Gwinnett Chamber shared briefly the history of Gwinnett County and how the demography of the country has grown with a diverse community. 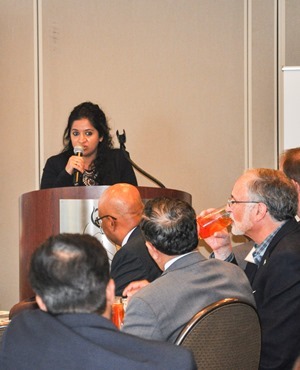 Along with other benefits, this is conducive to Indian industries moving into Gwinnett. Gargi Pawar (left) from CII Washington DC concluded the event with vote of thanks and expressed confidence in taking Indo–US economic relations ahead in spite of various challenges. The Consulate intends to hold more such events to enhance business relations between both economies.